Price Repositioned. Classic, spacious and elegant 3 BR, 2 1/2 BA + Den Federal Hill townhouse just steps from Federal Hill Park. 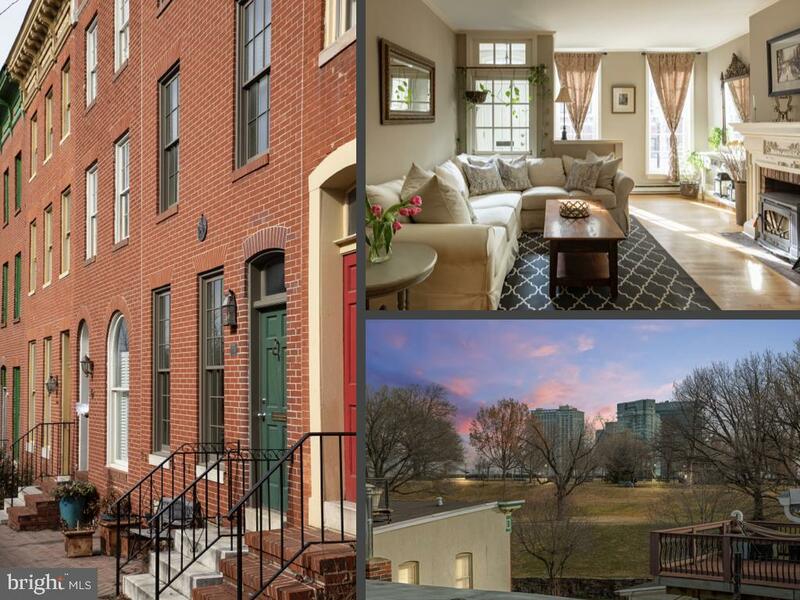 Formal living & dining rooms, 2 story atrium sunroom/den and 2 story roof deck with incredible 360 degree views of the Inner Harbor, Federal Hill Park, and the downtown skyline. 2 fireplaces, beautiful wood floors and lovely staircase. Private, fenced rear courtyard. 1st floor powder room and renovated upper floor laundry and bathrooms. So much wonderful space!